Are Operators really providing that Freedom in Roaming? All the operators started to provide OnNet Incoming free Roaming packs throughout India.In a dual tone let’s appreciate their favor done to those who are frequent travelers and to those who stay away from home zones for longer periods in different states on some work purpose. With such stiff competition among all the operators trying to provide hassle free roaming services,are the Roaming Services provided by these operators really hassle free?I’ll share my experiences and take on the roaming services provided by the operators in different scenarios citing some of my experiences. I was active on a DT service in my home location and went roaming in the middle of that month with the same service active. Everything went happy until I received a sms from IDEA intimating Your DT Service will be renewed in few days and amount 30(Monthly rent) + 15 (Song charges) will be deducted from your account. Then I started to tremble who on roaming will have DT service renewed and let me deactivate it first. The real mess started when I tried to call the Universal VAS Deactivation Number and I’m not able to connect to that number. Then I understood that these intelligent Networks don’t allow call establishments to any such numbers while roaming. I tried to SMS the toll free number 12345 for any DEACT info but after sending 4 continuous sms and after checking my balance I realized that they are charging Rs.1.5/SMS for Toll free number also while on roaming(I’m on IDEA Network only). This is an example of REAL LOOTING from their customers even to its own Toll Free Numbers on Roaming. Though I know I’ll get connected to the local support team I tried to call the same number 12345 and to my surprise even upon my request to speak in English the cc executive is speaking only in her regional language, I was fed-up after repeated requests to her to speak in English and disconnected the call. Then I checked idea cellular website to DEACT DT via SMS and thought finally I got a solution and tried my luck to send a DEACT sms for which I got Sending failed error. Conclusion – You can’t send sms for any such numbers while on roaming. My Last try on call – The response from cc is that DEACTIVATION can’t be done from their side and I need to send a sms from my number for deactivation. I was fed-up already with response as I wasted 30 rupees for cc sms/calls and started to maintain a balance below 10 rupees. Guess what happened now? The VAS Service charges started deduction on daily basis. Finally I decided this is not fair and I emailed the CC team explaining my problem with VAS on Roaming and thanks to that person who took response to my mail has finally deactivated the DT services. Conclusion: That what I learnt from this is Check for any Active VAS services and Deactivate them before you go ROAMING. As the name suggests, this time I made a request for conversion of my prepaid number to post pay when I was in my home location and need to immediately move to a different location on work. Response 3: This time I requested them to connect to Tele verification team so that I can verify my details and they can activate my number. CC Response: Sorry this can’t be done from our side and we have no access to that team. You need to have access to home Network to get your number activated by calling the verification number. It took my 15 days to get the problem solved with the intervention of Shivanjali Singh from Idea Cellular and I’m really thankful to her. Whatever the case is in the above two scenarios, my problems got solved only after a lot of struggle where everything is related in providing proper Roaming Services. Reduced functionality of General Toll free Customer care Numbers while on roaming. All other Operator Service ACT/DEACT numbers also get disabled on Roaming. Many services can’t be activated or Deactivated on Roaming. Some Operators are charging even for sms to their own Toll Free Numbers. Even the Customer care Numbers are charged as a Roaming call. Redirect all calls made to normal Customer care numbers like 121/111/*333 while roaming to the respective customer’s home location Customer Care in spite of Customer Care of Roaming Location or make the entire Customer database available to the Customer Cares of all locations so that they can also assist the Customers on roaming. As different states may have different ACT/DEACT codes, first of all allow sending of sms to those numbers by redirecting these sms to their respective home zone locations so that any service requests Activation/Deactivation requests can be processed by the user even on roaming . Remove home only restrictions on numbers especially like Tele verification, Porting or any user verification , activation or deactivation process numbers, so that when any user takes a new number just before roaming or on some purpose the same can be verified and activated even on roaming. In my experience I found TATA DOCOMO (I’m really happy with the roaming experience of TATA DOCOMO) providing access to good number of home location Toll free numbers even on roaming for free followed by Airtel, Aircel, and Vodafone(Vodafone is charging even for its 121 and 144 numbers on roaming). 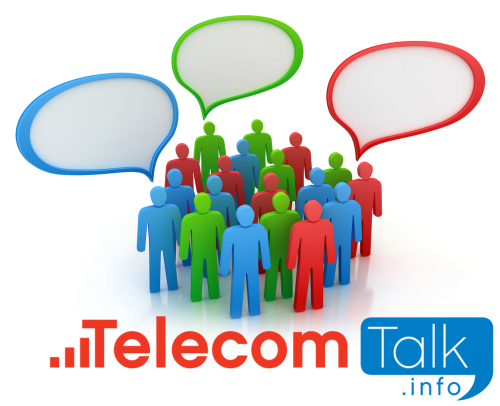 The same trend of disabling normal functionality of special numbers , activation’s or any normal home location toll free numbers is followed by all the operators including BSNL. BSNL also intimates it’s users that they will be charged for calling customer care on roaming as soon as users reach a new roaming location. Have you anytime faced these kind of problems on roaming? If so which Network and what is the problem and how did it got rectified? Feel free to share your experiences with other readers via comments. Nokia Lumia 520 vs Sony Xperia M: Which One is better buy? ACT Stream TV 4K vs Amazon Fire TV Stick 4K: Which One You Should Buy? What’s Next breakthrough after TouchScreen?